The later “Daini logo” dialed variant of the 4420-9990 is no less collectible than the earlier “Diashock” dialed watch. This particular example is in excellent condition, although it should be pointed out that the case has clearly been polished in the past as it has lost a little of its “edge”. 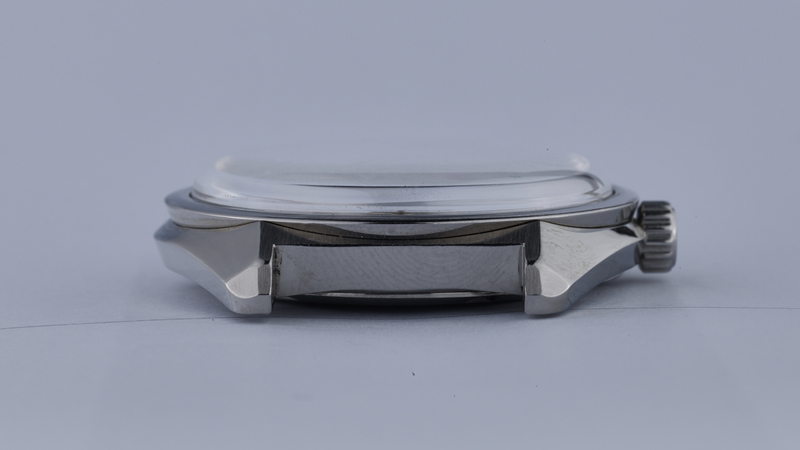 The dial is in beautiful condition, with just some aging marks around where the “Seiko” and “GS” logos are applied to the case – this is seemingly a common “flaw” with these GS44’s. The case back and medallion are in particularly good condition, with no ugly scratches from less-than-successful attempts to unscrew the case back. 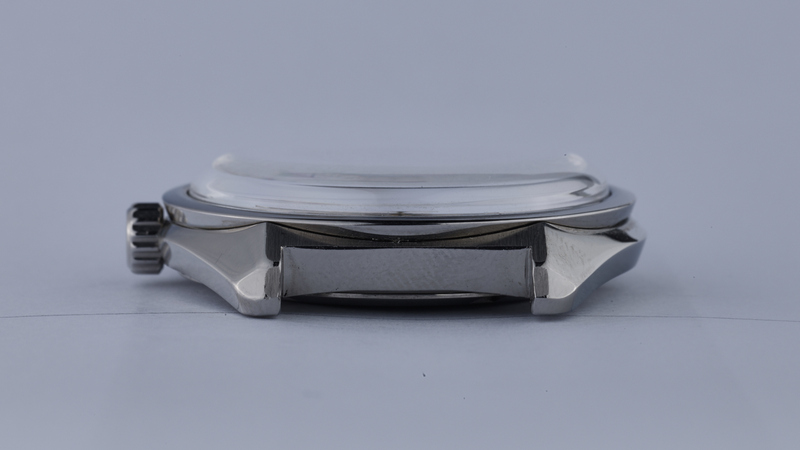 This watch was serviced in March 2018, comes with a 1 year guarantee (refer to the FAQ page for details), and is currently running at -10 seconds per day on a time grapher in the dial-up position. 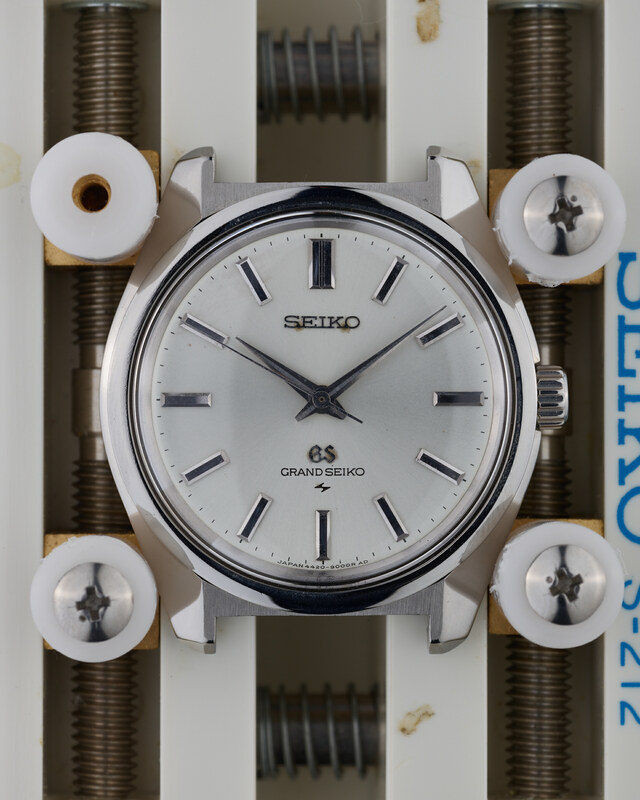 The 44GS series evolved from the King Seiko model produced by the Daini Seikosha factory. 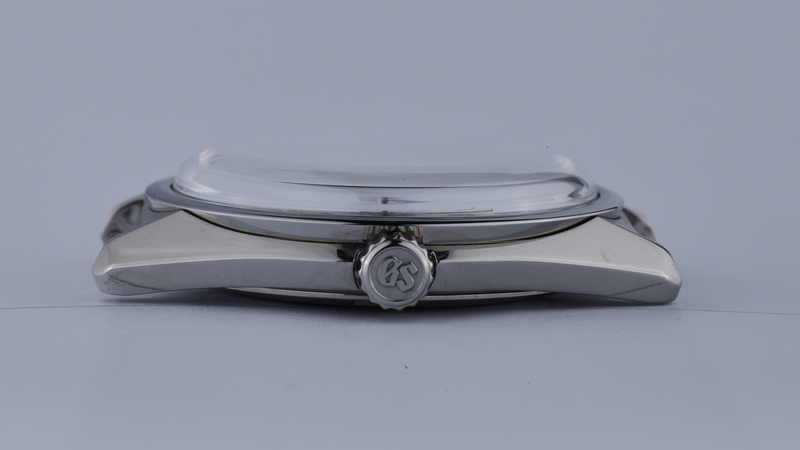 Whilst only on sale for around two years following its introduction in late 1967 – its lack of longevity presumably partly driven by the internal competition with the first automatic Grand Seiko 62GS series and then the 36,000 bph movement 61GS series – the 44GS is significant for introducing what is now called the Grand Seiko “Grammar of Design”, by famed designer Taro Tanaka . With the recent and continuing global roll-out of the Grand Seiko brand has come a significant marketing focus on the “Grammar of Design” that the 44GS introduced. Indeed, Grand Seiko themselves proclaim how the 44GS “established the Grand Seiko style” highlighting its nine “enduring” elements. Whilst it is clearly the case that the modern range of Grand Seiko adheres pretty well to these elements, it must be said that were one to take a contemporaneous perspective following the introduction of the vintage 44GS (or indeed, just look at the watches available for sale on this very website), it becomes obvious very quickly that a significant number of subsequently introduced watches quite simply ignore the grammar entirely. Which, personally, I feel is a good thing as the diversity of design in the vintage pieces is far more daring, innovative and interesting that you will see across the current range. Returning to the 44GS series itself though, of all the eight vintage series that were released, it is – for the completist – by far the simplest to understand and collect, given that there were in fact just three different watches produced. And, were you to ignore a subtle dial change, that number reduces to just two. 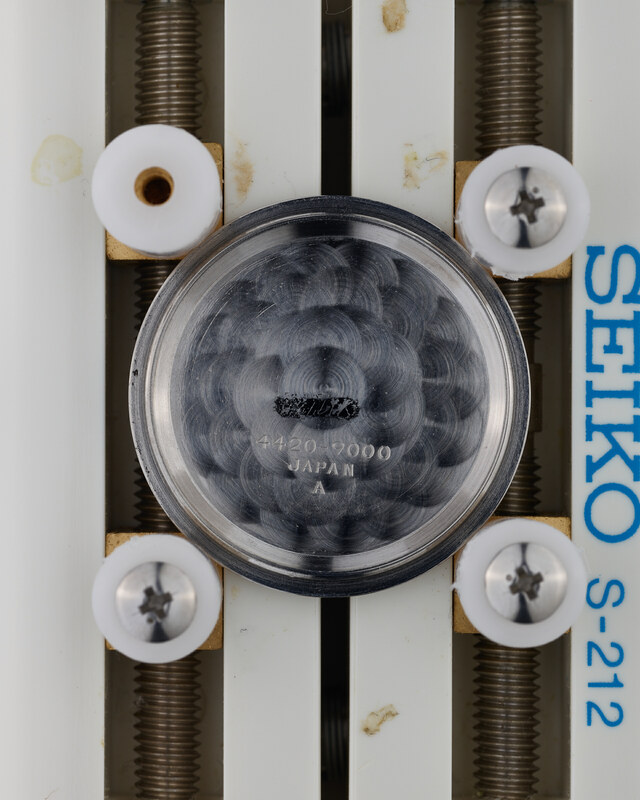 The very first examples of the 44GS, offered in stainless steel cases with the model number 4420-9000, had a dial print that was clearly copied over from the 5722-9991 with the text “Diashock” printed immediately beneath “Grand Seiko”. 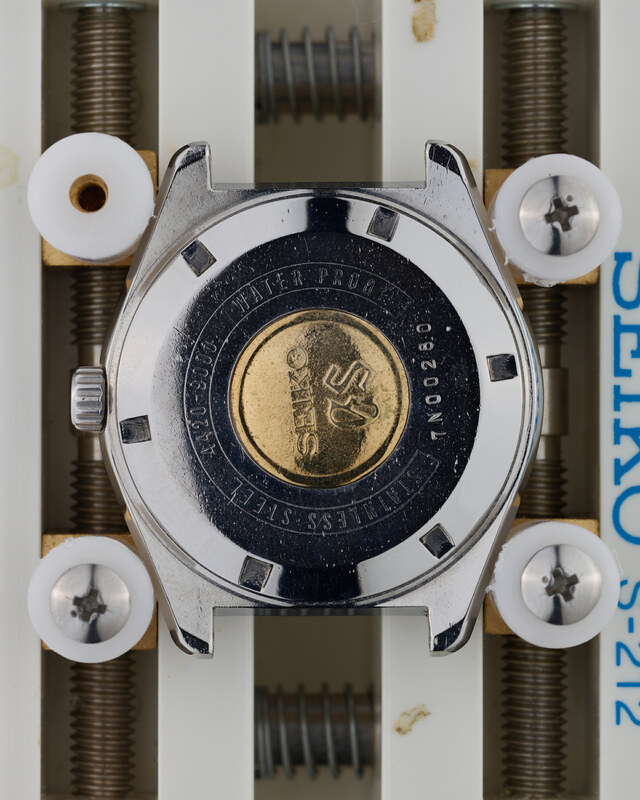 This was soon changed however, with the “Diashock” text removed and replaced with the logo of the Daini Seikosha company, giving us the second example of the watches produced in this series. The third and final example is a rare cap-gold cased variant with the model number 4420-9990. 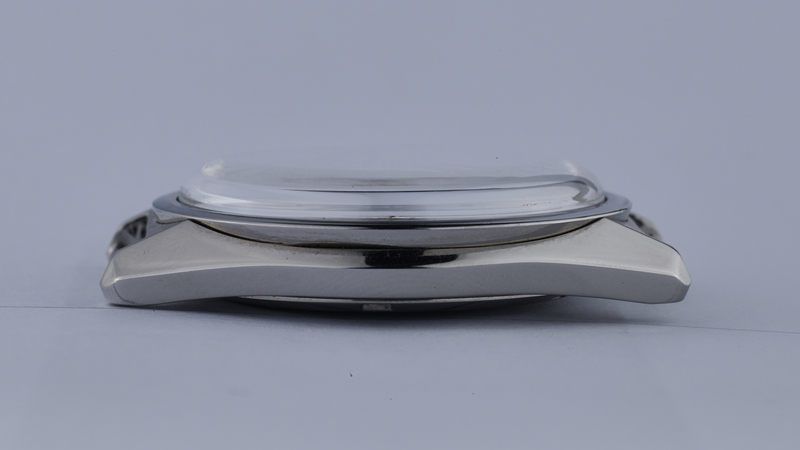 Interestingly, the case design of this model is totally different to that of the steel version, being almost identical to the case design found on the 57GS series. It is interesting to note that the stainless steel 4420-9000 was a relative bargain were you to compare it to other series that were on sale at the same time. At just 24,000 Yen, it was actually cheaper than the 5722-9991 by 3,000 Yen, with the automatic 62GS that was available at the same time as the 44GS’s introduction starting at 35,000 Yen, and the 61GS that became available towards the end of the 44GS’s life starting at 37,000 Yen. As an aside, the price differential of 3,000 Yen between the 4420-9000 and 5722-9991 is almost certainly down to the former lacking the date complication of the latter. Throughout the entire history of the vintage Grand Seiko lifespan, a steel or cap-gold cased watch with a date complication was always priced 3,000 Yen higher than its equivalent model without date, and you paid an additional 3,000 Yen on top of that if you wanted a day-date complication. 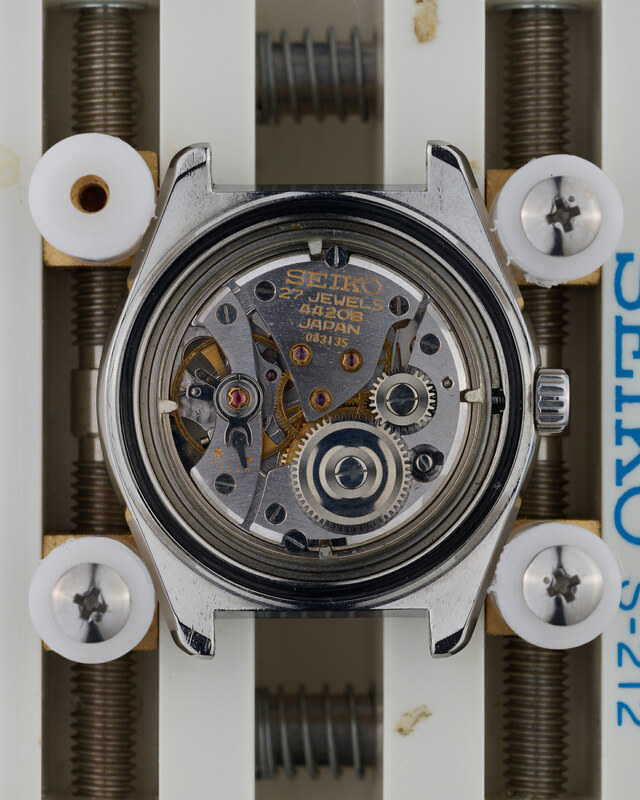 With just the three variants existing over such a short timeframe, it is unsurprising to find that all three models share the same movement – the 4420B, running at 18,000 bph – being the last Grand Seiko featuring such a low-beat movement.